The very first thing you do is get out some cardboard, thick colored paper, or both. Draw a heart on one of your sheets and a similar but smaller heart on an other – these hearts and going to be the top and bottom of the box. Then, cut out strips of cardboard for the sides and start taping them around the hearts. This is really all the box boils down to. The smaller heart is where you are going to put your protein truffles and the bigger heart is the cover. OK. Once your box is ready, move on to the truffles. I was going to make six kinds of fillings but ended up making four kinds because I couldn’t fit any more! So, I’ll give you the recipe for these four kinds – vanilla, chocolate, coconut and caramel, and make the other two (almond and bailey’s) another day. 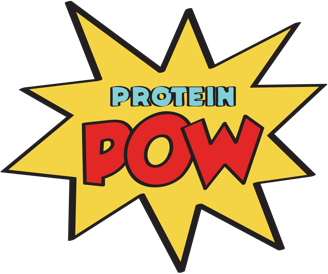 (For another version of a protein vanilla filling, you could also play around with this). 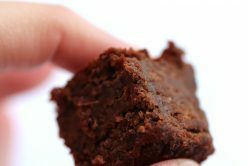 (For more chocolate protein truffle fillings, you could also try these ones; the hemp is awesome here because it gives them that smooth rich chocolatey texture). 1. Mix all ingredients together with a fork. 2. Roll mixture into balls. 3. Place some oatflour (or anti-stickiness coating) onto a baking sheet or cookie tray. 4. Dunk the balls into melted chocolate. 5. Transfer to freezer and let sit for 20 minutes until the chocolate sets. (These ones were too mushy so use less sweet potato if you want to give them a better body).